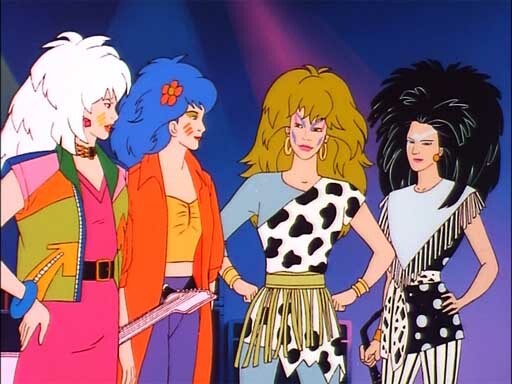 For those of you that didn’t grow up in the 1980s, you were deprived of one amazing animated series Jem and the Holograms. It came out recently on DVD in 2011 and has now been included on Netflix. It’s simply great (and truly outrageous). 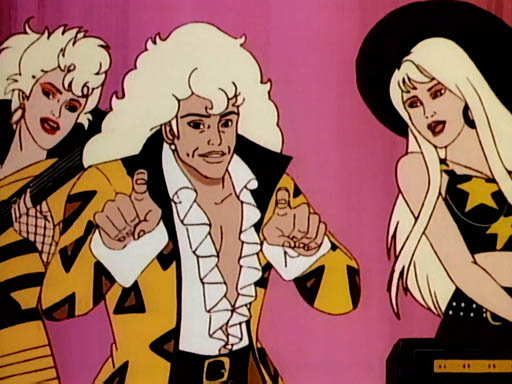 Jem and the Holigrams was like a soap opera for kids and pre-teens. It had music, romance, action, drama and comedy. It was like Glee but 1980s style and animated. It had great characters – Jem/Jerrica, her sister Kimber and the other Holograms, The Misfits, and of course Synergy. It had the ability to keep you coming back for more – week after week, even when it focused all on Glitter and Gold Jem, it was still worth watching. Now as I watch, some parts were cheesy but it’s still fun to watch. I even remembered some of the songs which was crazy but also fun to sing along with. To be honest, I even have the theme song on my iPod and everytime I hear it, I smile (and of course sing along)…Glamour and Glitter, Fashion and Fame, oohhh….This show made me want to be a superstar! My obsession about the show after all these years should leave no doubt that it would make it into my blog. There are so many best things about this show but I’ve narrowed it down to three. For those of you that did watch the show, you know what I’m taking about. Songs like: Deception (Jem & the Holograms); Click/Clash (Jem & the Holograms and The Misfits); Glitter ‘n Gold (Jem & the Holograms); I Got My Eye on You (Jem & the Holograms); and Makin’ Mischief (The Misfits). There are so many others. The songs in this show really made the show. The characters, and there were many of them. Jem/Jerrica, Rio (her love interest), the Holograms, the Misfits – Pizzazz, Roxy, Stormer, The Singers and Synergy – just to name a few. I loved watching all of them. Their stories, love interests and the awesome colored hair they all had. Seriously Jem pulled off pink hair, Aja with Blue hair, Stormer with dark blue. It was great. 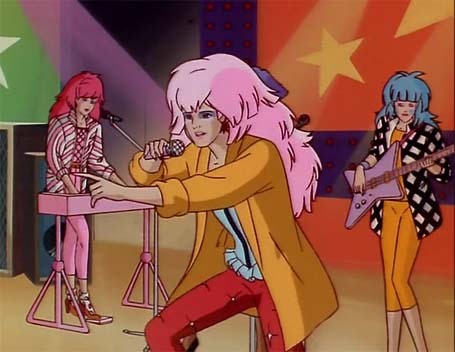 The final thing that I thought was the best about Jem was the outfits. They were crazy, all over the place but so very cool to a young girl watching. One of the great things was that if you had one of the dolls, they actually sold the outfits that they wore on the show. With the news that more budget cuts would be enacted (because of the disagreement between Republicans and Democratics and thein inability to work together), it made me realize again that low and middle class Americans will be directly targeted. Financial topics are always hard to write and its especially hard to take financial advice from the experts. Experts never seem to have the everyday ‘Joe’ in mind. How many times have we heard that we should be saving 10% of our income for savings and retirement. I don’t know about you but I don’t know a lot of people that can do that because they are living paycheck to paycheck and for the people that I know that can, they are more into the instant gratification and consumerism that plagues are society – so no savings there. For once, I would like an expert to be real. 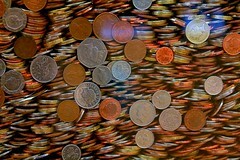 To look at people’s situations and offer some viable, easy to follow and not drastic ways to save money. So that is the reason for my post. I’m in no way a financial or investment expert. I have no formal training in any financial field. However I’m a person that has had to make some changes in my life so that I can save. 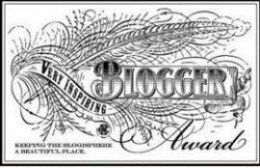 The push towards this came from gaining a better understanding of the things that are important to me and determining the things that I want to do in my life. Money for home renovations, money for travel, money for school. These are my priorities and that is why I thought I would share the best three ways to save money with everyone. Cutting out the excess was the hardest thing for me and that is why I added it to the top of my list. I love eating out and I love movies. Yet when I looked back on what I was spending on these things, it made me really think. These things weren’t essential and they were costing me hundreds of dollars per month and what did I get from them – a few hours of entertainment and a full belly. Its hard. I’m not going to lie. It makes me so jealous when I see people eating out all the time, going to bars, the movies and I’m at home making my dinner and watching Netflix (which isn’t the worst thing). In all my cutting, I also got rid of cable and subscribed to Netflix. I’ve also realized that I don’t need the newest of everything – no iPhone 5 for me. I have stuck with my old blackberry. It still works. I guarantee if you try this – you will not believe the money that you save. Also, I still do go to the movies and I do occasionally eat out and its great – its something to look forward too. The last thing that I recommend as a one of the best three ways to save money is to go to your bank and set up an amount that is automatically transferred into your savings account. I did this and at first I had my bank set up $20 monthly. As I started saving more, I increased the amounts that were taken out (like to $40 when I saw the coffee expenses). It was another year before I was comfortable raising it up. I’m happy to say that I now put away at least $600 per month. Saving has been a hard process but it’s really worth it – my next vacation is in September and is already paid for. Like millions of people out there I was unfortunate enough to catch a cold. I was feeling miserable and spent the day curled up on my sofa with Netflix.While lying there, full of precription drugs, I put together my best 3 80s movies – and here they are. In this case, there are alot of honorable mentions such as Dirty Dancing, Weird Science, The Breakfast Club, Pretty In Pink, Girls Just Want to Have Fun, Top Gun. Sixteen Candles is my number one choice. It has everything – romance, comedy, drama. It’s a movie that you can never get tired of watching and let’s face it, Jake Ryan is still hot (even in 2012) and he picked her! There is so much good that I can say about it but I won’t bore you. As for my other two choices, they are the movies that I remember most. They are filled with great characters, scenes and just what I think a best 3 movie should be made of.